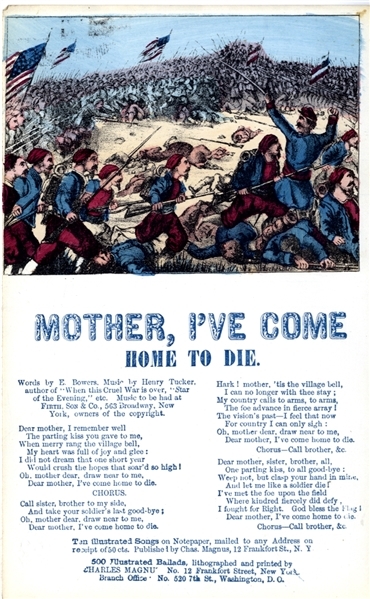 War-date Charles Magnus printed song sheet “Mother I’ve Come Home to Die” 1pp. octavo, c. 1862, with nice image of Zouaves. Hand-colored. Fine condition.